The ACBL awards and records your masterpoints that lead to rank changes, such as becoming a Life Master. If you aren’t an ACBL member, your masterpoints do not accumulate. The ACBL’s monthly Bridge Bulletin has helpful articles for all levels of players as well as information about ruling the game, national and local tournaments, and more. The ACBL website offers many materials to help players learn and improve their game. As an ACBL member, you can learn about and play duplicate bridge at any of 3,200 U.S. clubs. 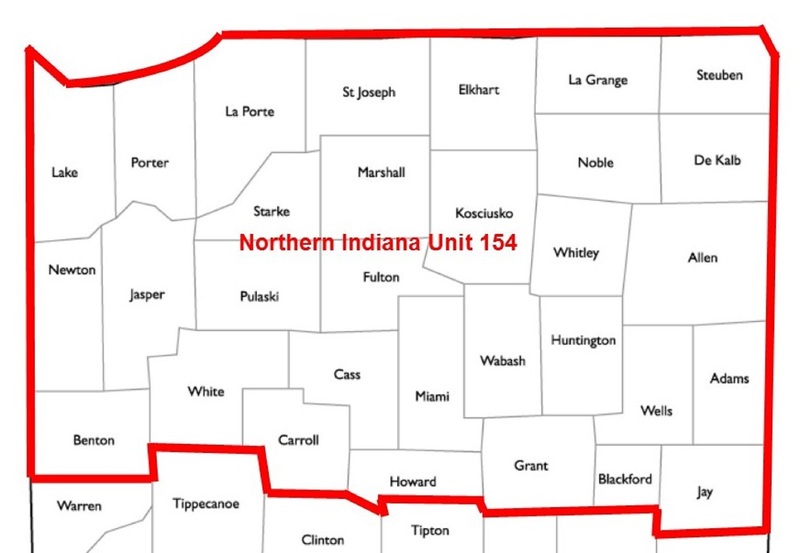 The FWDBC is a member of Northern Indiana Unit 154 (website), map which is part of District 12 (website) of the ACBL. Our two representatives currently on the Unit’s Board of Directors (Gary Chaney and Stan Davis) participate in governance functions of the Unit, including selecting annual sectional tournament sites, creating incentives to help new players become involved in duplicate bridge, and what input to make to the ACBL. Currently our representative Gary Chaney is the Unit President. Decisions designating regional tournament sites are made at the District level. Regional and national tournaments are the only places to earn the gold and red masterpoints needed to become a Life Master. The FWDBC holds a sectional tournament (awarding silver masterpoints) each year in the spring. Most tournaments have special sections for players with fewer than 300 masterpoints. See listings below and plan to play in some!